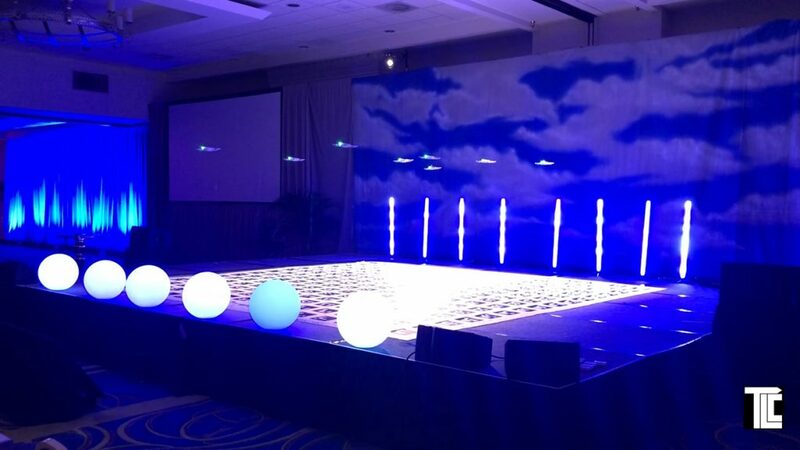 TLC created an aerial themed opener for ‘Soaring Over Boundaries’ – a meeting triple opener with dancing drones, an aerial open video captured onsite, and a live ‘on-stage’ VIP – Drone encounter that had the company vip’s interacting, and communicating, with a flying drone. 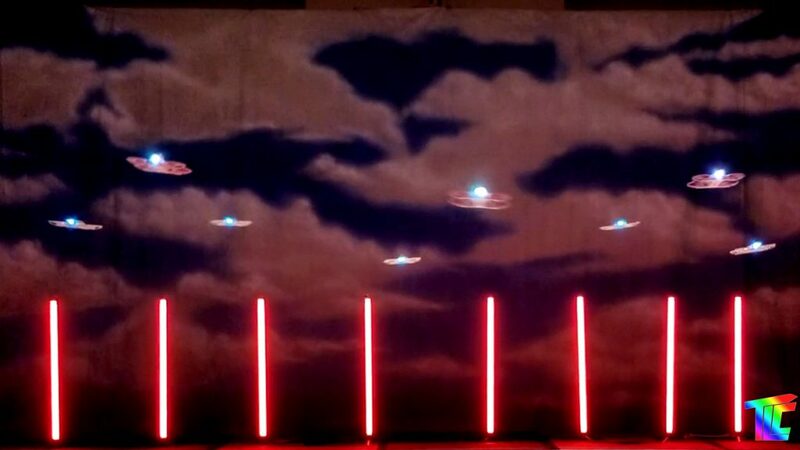 Dancing drone shows by TLC are mesmerizing live experiences. Dancing fleet’s of miniature aircraft that merge art with new technology. 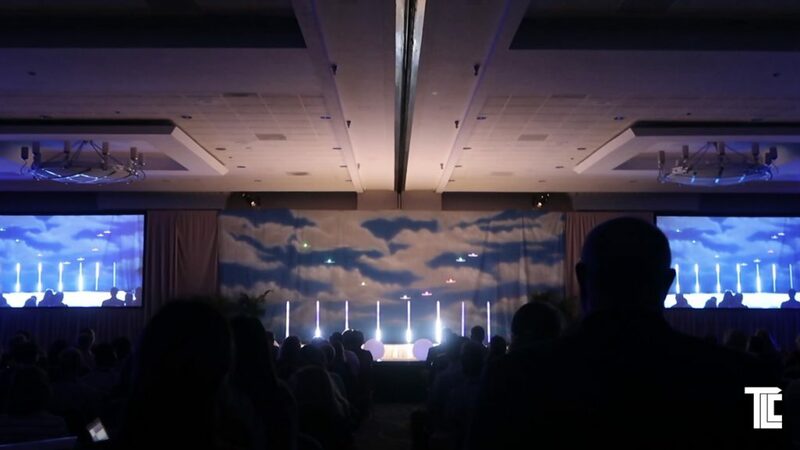 A drone VIP encounter is a live show moment with a flying drone interacting with stage guests. 1. TLC created a INTRO VIDEO to start the event using aerial photography shot onsite. 2. 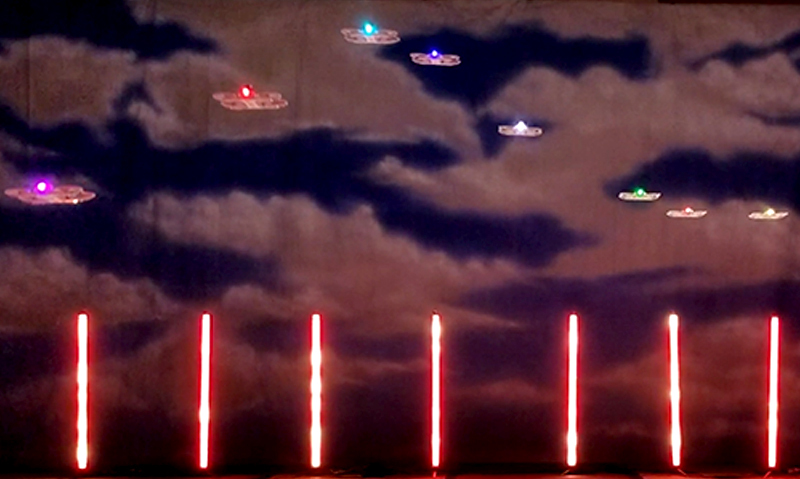 Followed by a live dancing drone show on the stage – a fleet of miniature aircraft performing a ‘ballet’ to music. 3. Then a VIP & drone encounter where one drone approached two VIPS about to begin the conference, they chatted with the drone, who answered with sound effects and motions looking like yes or no. The VIPs were coached into funny interchange, a great wrap up for the Drone themed opener by TLC ‘Soaring Over Boundaries’.